An arcade version of Othello, the 19th Century board game also known as "Reversi". 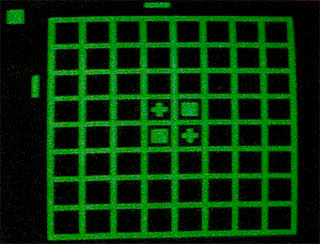 Rather than black and white pieces, you place noughts and crosses on the game board. Place your pieces to trap the computer opponent's pieces, turning them into your pieces. When no more pieces can be played, the player with the most pieces on the board is the winner.